GENEVA -- In an executive shuffle, Volkswagen of America has named Ronald Stach as its new U.S. sales chief amid the brand's continued struggles to reverse four years of dwindling U.S. deliveries and grapple with its ongoing diesel emissions cheating scandal. Effective immediately, Stach will oversee VW's U.S. sales regions, retail, fleet and remarketing operations as vice president of sales for Volkswagen of America. Stach replaces outgoing sales boss Mark Barnes, who was tapped to be COO of Bentley of the Americas, VW said in a statement today. Barnes had led VW's sales operation since January 2014. Stach, 48, was most recently director of VW's South Central Region and will report to COO Mark McNabb. Previously, Stach held a variety of roles in VW’s regional sales operations, as well as fixed operations and dealer network development since joining VW in 2006, according to his LinkedIn profile. Prior to that, he worked at Mazda from 1994 to 2006. "We are excited to welcome Ron to his new position. His strong automotive background, especially experience in the regions, is an invaluable asset that will help to build new, and strengthen existing partnerships," McNabb said in a statement. VW's U.S. sales have fallen each of the last four years, including a 4.9 percent decline to 349,440 units last year. VW deliveries dipped for their fourth-straight month in February, though VW has said its January and February declines were tied to a reduction in seasonal fleet sales -- and retail sales actually increased in each month. The brand is hamstrung by a lineup that includes just two crossovers, the Tiguan compact and larger and more upscale Touareg, putting it at a structural disadvantage in a white-hot crossover market. Ronald Stach, 48, was most recently director of VW's South Central Region and will report to COO Mark McNabb. VW, still dealing with the fallout from its ongoing diesel emission cheating scandal, also has been penalized by the freeze on sales since September of new diesel-powered models that accounted for more than 20 percent of VW’s sales last year before the stop-sale was imposed. 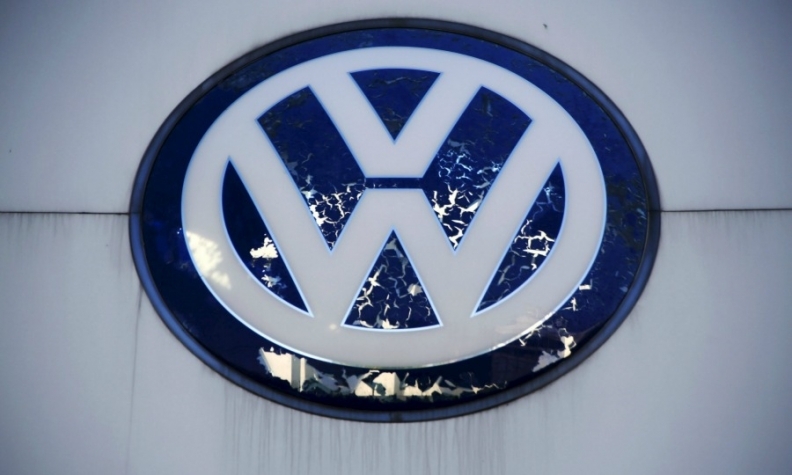 The freeze is expected to continue until VW reaches a deal with U.S. regulators to resolve its emissions violations.